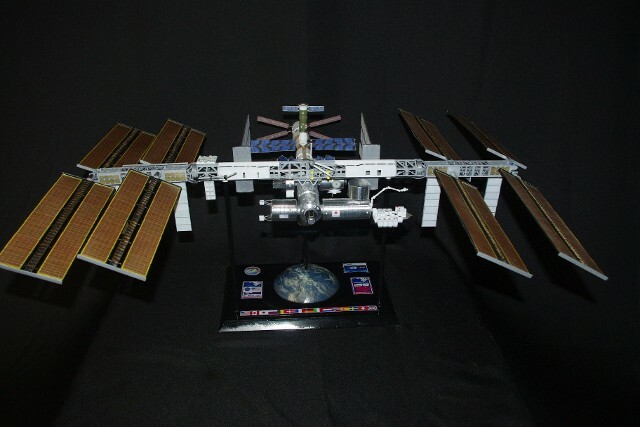 Maybe, it was the acquisition of the Tomytec 1/700 scale ISS model that started this. 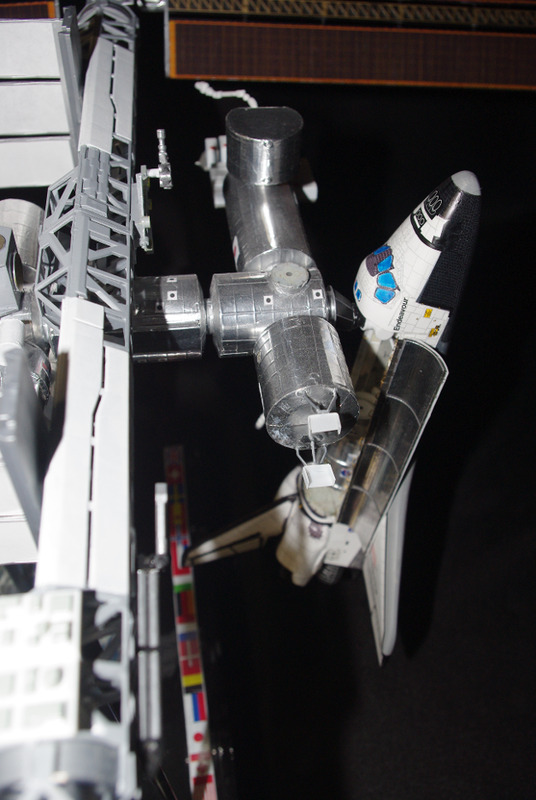 Maybe it was the knowledge that the Revell model existed and was not too expensive. 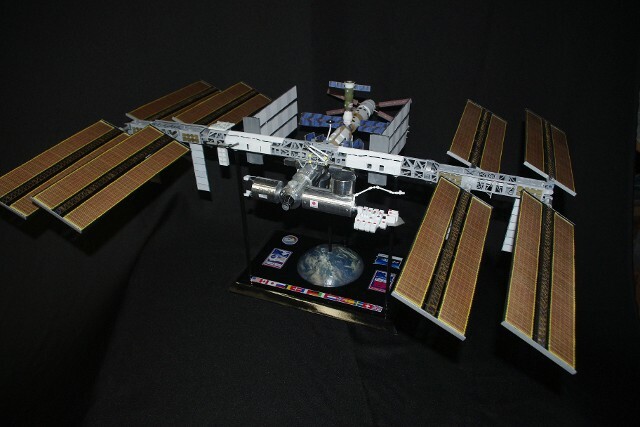 In any case, I found myself beset withe the desire to buy and build the Revell Germany 1/144 scale International Space Station "Limited Edition" model, for more than any other reason, to add this very important piece of manned spaceflight history to our collection, and in a scale that would allow some degree of visual freedom. 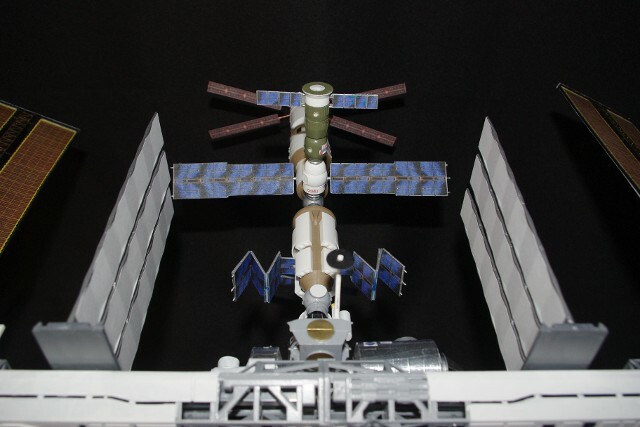 The Revell Germany model is not without a certain degree of "errors," such as the extensive Russian module presence, the inclusion of an additional US Lab module, as well the inclusion of other spacecraft which either do not exist, or have not flown as of yet. 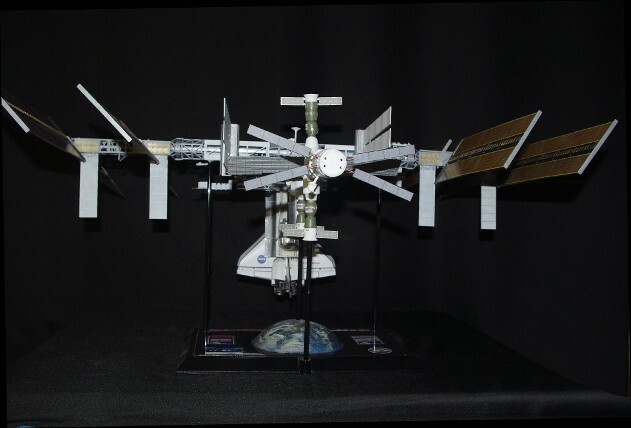 As I wanted to build the ISS as the configuration we see it in today, I studied the manual provided by Revell, as well as photos of the modifications to the model posted on the Internet by well-known European spacemodeler, Mr. Vincent Meens. There are modifications to the nodes which require extensive re-working of Node 2, in building the ISS in its “final configuration” as it is today. Vincent’s site shows how to accomplish this. As this is not a standard "build review," I am not going to go through the entire project, module by module. 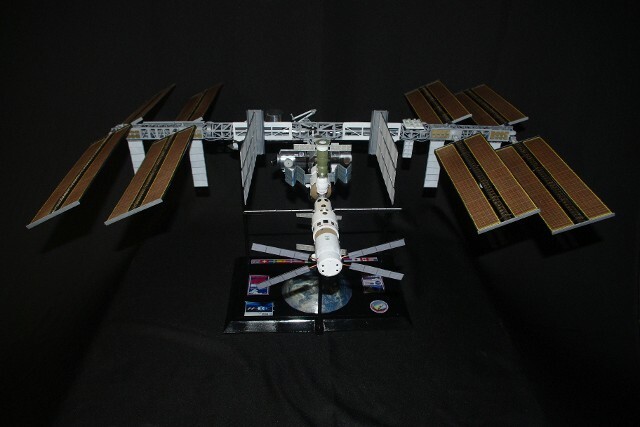 Instead, I wasn't to show some of the "departures" I made from Vincent Meeens' work and Revell's model as provided, in order to show the path I took towards completion, as well as the steps which lead to the creation of the LCSP's 1/144 scale ISS External Detail Application Set, now available fro our web store. The build-up is chronicled on out Shutterfly Share Site. 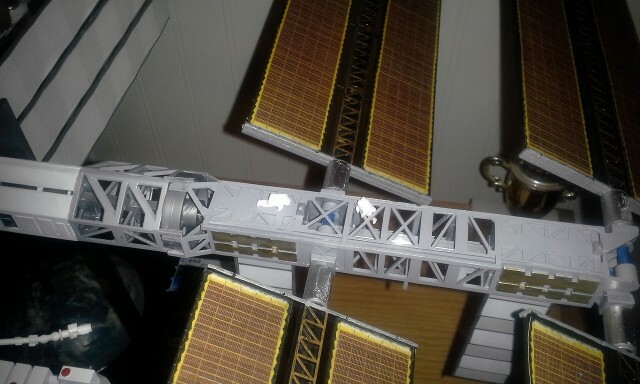 Here's the results - The completed Revell Germany 1/144 scale ISS model. 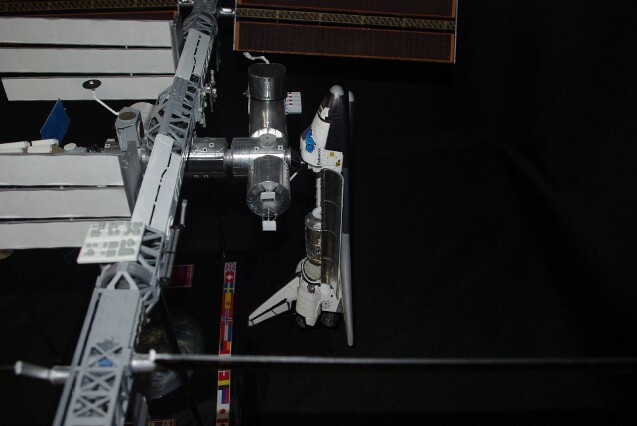 The supporting display base provided by Revell has a main plastic platform which supports four small extruded aluminum tubes that support the ISS model. 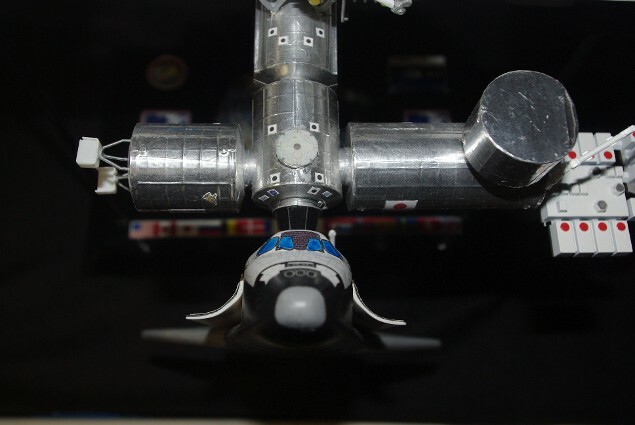 We borrowed a "cue" form Vincent Meens and used a recent Earth photo provided by NASA to cover the "dome" of Earth molded into the platform. We also created applications for the ISS 15th anniversary logo, a sister logo containing the member group's logos (ESA, Roscosmos, NASA, JAXA), as well as the 16 member nation's flags along the front edge. All the aluminum tubes were sprayed black prior to assembly onto the base. I thought is was appropriate to place my 1/10 scale Bandai Hobby ISS Space Suit Extravehicular Mobility Unit figure model near the ISS, as the astronaut is wearing the current ISS EVA gear. 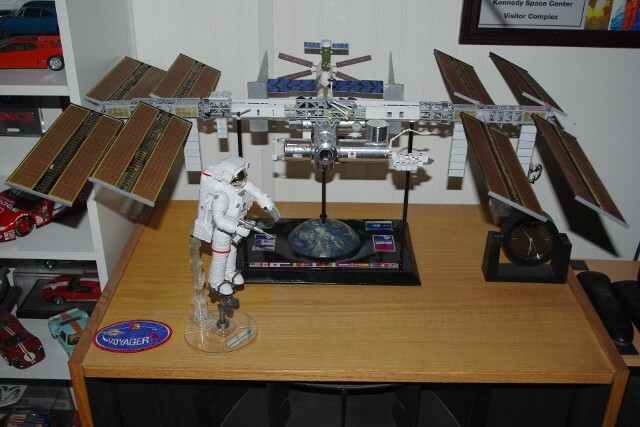 To show the actual scale relationship of an EVA crewman to the complex, I added the two Max Gueter 1/144 scale ISS EVA figures I got through Shapeways.com some time ago, figuring I'd use them on a Shuttle model. That's how big a 6-foot man is in an EVA suit, with respect to this massive orbiting complex! Thanks to Revell Germany for making the kit available. Thanks to Vincent Meens who showed me the way forward. 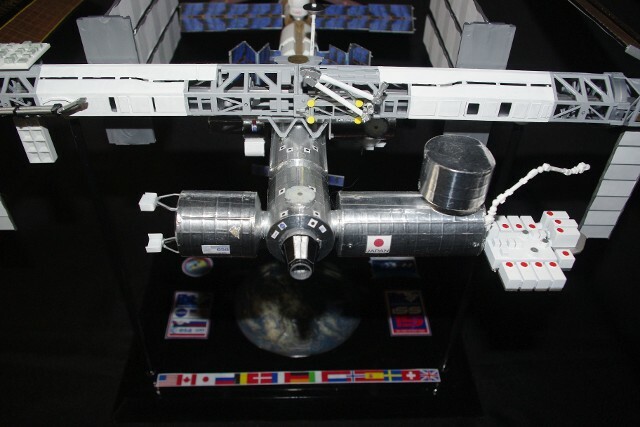 Thanks to NASA for providing the incredible photos which allowed the details of this model to come forward, and which allows us to provide them to you as well, if you are considering an ISS build of your own. Click here to see the build-up of the model stored in our Shutterfly Share Site.